Penny is the award winning author of more than 20 books for children of all ages. Her titles include popular picture books, junior-novels and non-fiction books. Penny's picture books are beautiful additions to a family library and offer hours of repeated readings and enjoyment. Great for children aged 6-10, Penny's fun filled novels for children aren't afraid to explore the big issues of faith, friendship and responding to the world around us. 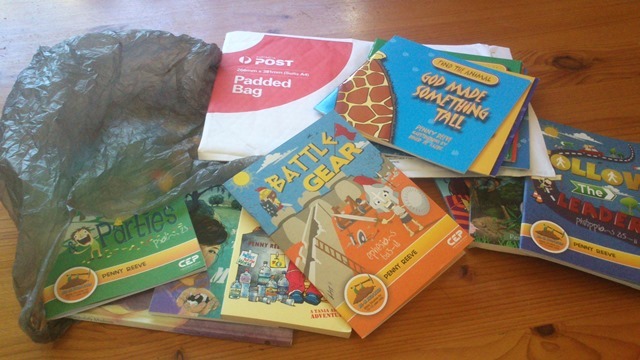 Bible studies, devotionals and true adventure stories: Penny has written a range of relevant and applicable non-fiction to help kids think, grow and respond through faith. Penny's books can be purchased at most good bookstores, both online and in store. You can also buy personally signed books from this website - just visit the Store pages to browse and make an order. Alternatively you can contact publishers directly, who can often give competitive postage and bulk discounts, or purchase from your favourite online bookseller. Details of publishers and stockists can be found on the Where to buy? page of this website.